The two most recent winners of the Waletzky Memorial Award, Dr. Paul E. M. Phillips, professor in the Department of Psychiatry and Behavioral Sciences and Pharmacology at the University of Washington, and Dr. Rita Z. Goldstein, professor in the Department of Psychiatry and Neuroscience at the Icahn School of Medicine at Mount Sinai, delivered keynote addresses at NIDA’s Frontiers in Addiction Research Mini-Convention. The event was held on the National Institutes of Health campus in Bethesda, Maryland, in November 2014. Established in 2003, the Waletzky Memorial Award for Innovative Research in Drug Addiction and Alcoholism commemorates Jacob P. Waletzky, who died from cocaine-induced cardiac arrhythmia at the age of 29. Each year, the Waletzky family presents the $25,000 award to a young scientist who has received his or her doctoral degree within the past 15 years and who has made promising strides in the field of drug and alcohol addiction research. Dr. Phillips, winner of the 2014 award, spoke on “Phasic Dopamine Transmission During Substance Abuse,” describing investigations that he has led into the role of brief, seconds-long bursts of dopamine signaling in addictive processes. Dr. Phillips and colleagues have pioneered the use of a cutting-edge technology, fast-scan cyclic voltammetry, to observe these events in the brain’s striatum and link them to key phenomena in the development and continuance of addiction. In his talk, Dr. Phillips recounted experiments that implicate drug-induced changes in phasic dopamine transmission in a rat model in both the escalation from stable low-level cocaine intake to high-level intake and drug-seeking in response to cocaine-related cues. Additional findings from these studies point to potential clinical and prevention applications: They suggest that individuals’ phasic dopamine responses might provide a measure of their susceptibility to escalating drug use and addiction, and that countering drug-induced changes in phasic dopamine transmission might put a brake on an individual’s escalation of drug taking. Altogether, Dr. Phillips’ work adds another layer of scientific understanding to what researchers know about the dynamics of dopamine in addiction from studies on how drugs affect slower-changing tonic levels of the neurotransmitter. Dr. Goldstein, winner of the 2013 Waletzky Award, spoke on “Targeting the Brain, Cognition, and Motivation for Intervention in Addiction.” Dr. Goldstein is co-developer, along with NIDA Director Dr. Nora Volkow, of a hypothesis that addictive drugs induce alterations in the brain’s prefrontal cortex, particularly in dopamine neurotransmission, that in turn (a) cause affected individuals to place inordinate value on drug taking, and (b) weaken their ability to resist the impulse to take a drug even when they know that doing so harms them. 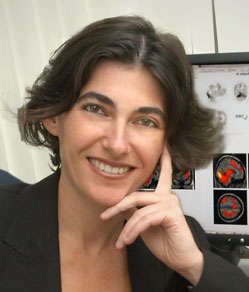 Dr. Goldstein and her collaborators and colleagues deploy a panoply of techniques—including psychological testing, neuroimaging, and electroencephalography (EEG)—to delineate these changes and link them to the clinical features of addiction, including intoxication, bingeing, craving, and withdrawal. 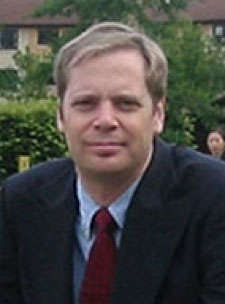 Based on this work, Dr. Goldstein proposed that studies combining magnetic resonance imaging, the medication methylphenidate, and diagnostic cognitive tasks may be used to pinpoint brain alterations and cognitive impairments that provide treatment targets for patients addicted to cocaine. She proposed that methylphenidate combined with cognitive rehabilitation aimed at those targets might restore normal function of the prefrontal cortex and enable patients to achieve and maintain abstinence from the drug. Dr. Goldstein cited another very hopeful finding: Individuals who achieved 6 months of abstinence from cocaine experienced dramatic improvements in cognitive functioning. Drs. Goldstein’s and Phillips’ use of highly innovative techniques and tools has significantly improved researchers’ understanding of the mechanisms by which drugs of abuse alter neural circuitry and behavior. Their detailed insights and findings will help other researchers and clinicians provide better care to patients with addictions. NIDA. "Waletzky Memorial Award Winners’ Lectures at NIDA Illuminate Cocaine’s Many Effects on Brain Structure, Circuitry." National Institute on Drug Abuse, 29 Jan. 2015, https://www.drugabuse.gov/news-events/nida-notes/2015/01/waletzky-memorial-award-winners-lectures-nida-illuminate-cocaines-many-effects-brain-structure. NIDA. Waletzky Memorial Award Winners’ Lectures at NIDA Illuminate Cocaine’s Many Effects on Brain Structure, Circuitry. National Institute on Drug Abuse website. https://www.drugabuse.gov/news-events/nida-notes/2015/01/waletzky-memorial-award-winners-lectures-nida-illuminate-cocaines-many-effects-brain-structure. January 29, 2015.